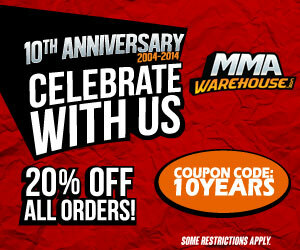 Rashad Evans T shirt for UFC 114 will be from Tapout. It is one of the newest to be added to the Tapout Signature Series line. Rashad’s T shirt was first introduced in the UFC Primetime: Rampage vs. Evans pre fight show. The shirt features red flames graphics on the front and has a “fire” theme motif throughout the front side. 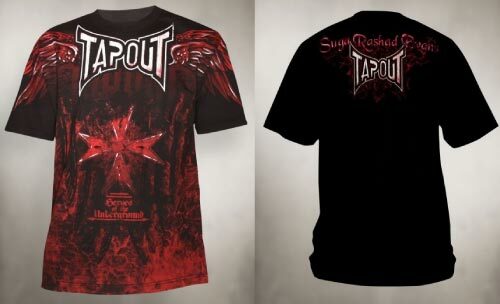 A cross shape is positioned front and center and wings sprout behind the Tapout logo to cover both shoulders.